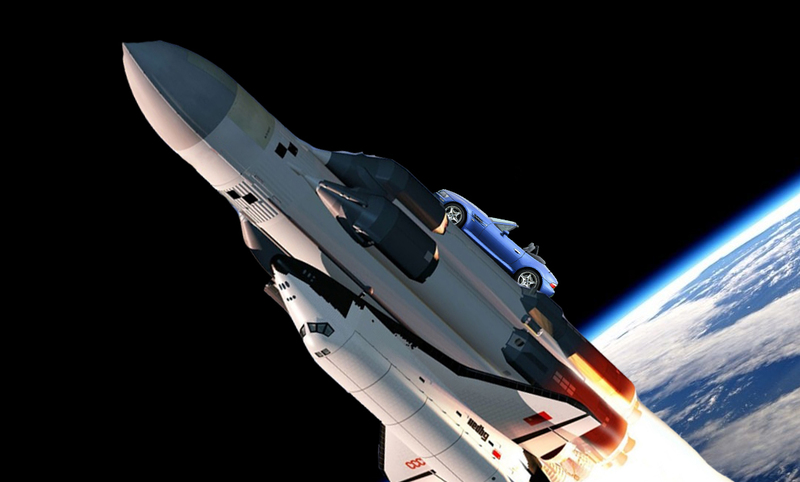 NORTH BAY — Following in the steps of Elon Musk, Mayor Al McDonald announced Wednesday evening that he is launching his car into space. McDonald’s beloved blue 1998 BMW Roadster, with its 5-speed manual transmission, German-built 3.2 litre engine, and extra comfortable wooden bead seat covers, will be driven to Cape Canaveral, Florida where it will be attached to a SpaceX rocket. A SpaceX “Wyvern” rocket will launch McDonald’s car into orbit at a speed of almost 8.5 kilometers per second. Once there, the Wyvern’s upper stage boosters will fire one final time, setting McDonald’s BMW Roadster on a 54.6 million kilometer trip towards Mars. McDonald revealed that the Roadster’s trunk would be “absolutely full” of North Bay memorabilia. McDonald plans to drive the car down to Florida in late May for an August 8th launch.